The topics of the day included the emotional connection millennials seem to have with coffee and also their complete disregard for proper retirement planning. Oh, dear. In true millennial fashion we decided to go to our local artisan food market rather than worrying about our future. 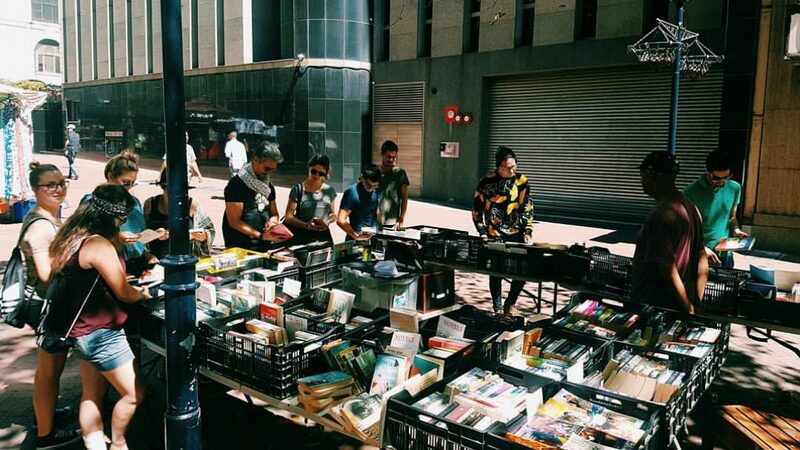 On our way to the market we happened upon a book stall. Unfortunately for the stall holder none of us bought any books – being POVO means one has to choose between the quinoa salad and a slightly mouldy Lawrence or Molliere. The quinoa won. Our dearest Trynity was feeling a bit under the weather, which means that Mike had to pose with a pineapple (this is not a Hamlet rip-off, Shakespeare is so overrated), showcasing his Bree Street hipster style.